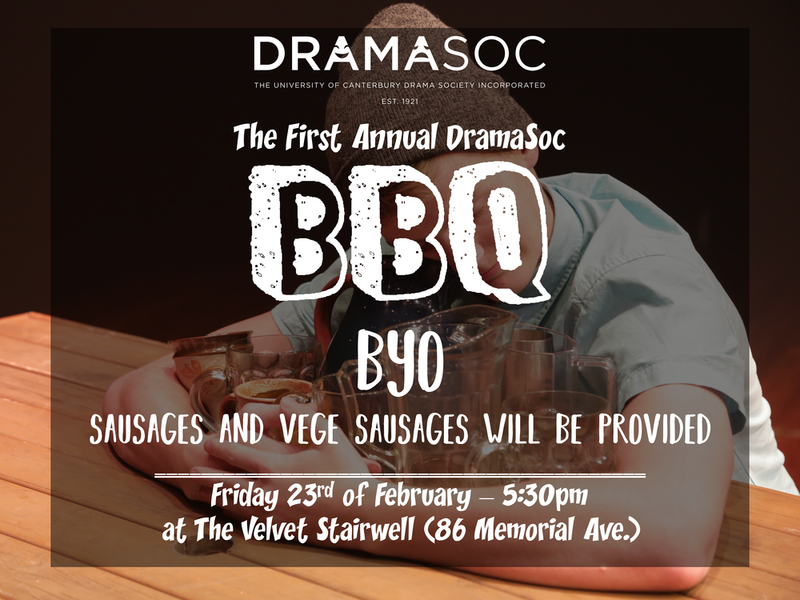 In true UC fashion, DramaSoc is kicking of the year with an O-week BBQ. Before we get to the fun part though, we need to elect a final member for our exec (looking at you first years). 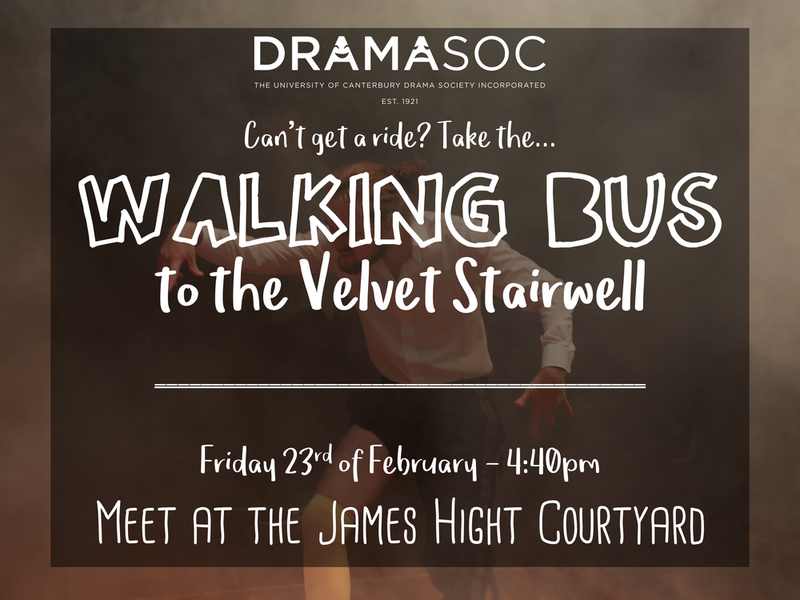 So whether you want to join the exec or just meet all the DramaSoc family come on down to the Velvet Stairwell, and join in the SGM followed by some brews and snags. If you have any questions about what being a DramaSoc exec member looks like, feel free to email us at contact@dramasoc.org.nz and fire away! Anyone is welcome to run but we'd be especially keen for a first year student to jump on-board. If you don't have a way to get there, or you're going to be walking from uni anyway, there'll be a walking-bus leaving from outside central library at 4:40pm. The Special General Meeting has been called for the sole purpose of electing a member to fill the final space in the General Committee. Any general business or constitutional amendments may be proposed, but they will be tabled until the next General Meeting of the Society. The meeting shall be held at the location listed above. The intended starting time is 5pm. If you intend to run for election, you must be nominated either by someone present at the meeting (includes yourself) or by proxy. You will be permitted 30 seconds to speak. After all contenders have spoken, questions will be held (nothing too serious don't worry). The voting shall be by secret ballot. You may announce your intent to run and describe yourself in this Facebook event page. If you wish to submit a proxy vote or nomination, you may do so by emailing returning-officer@dramasoc.org.nz with your full name, student ID (if you have one), and the full name of the person you are voting for or nominating.